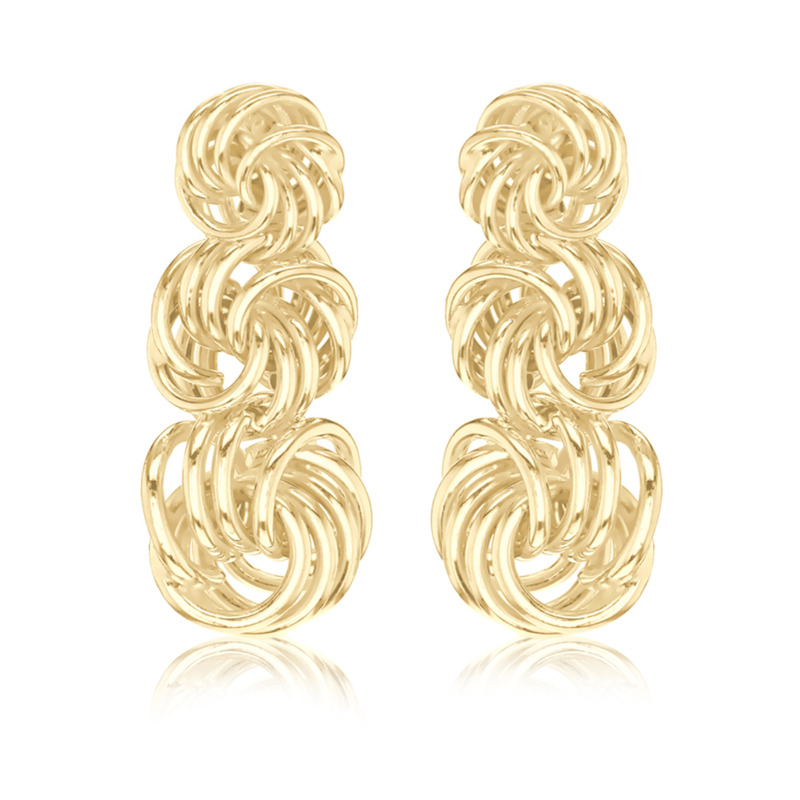 These beautiful 9 carat yellow gold graduated knot drop earrings are a perfect addtion to any outfit. Knot sizes 6mm, 8mm & 10mm. Drop length 22mm.